Soil Sampling a Must this Fall! 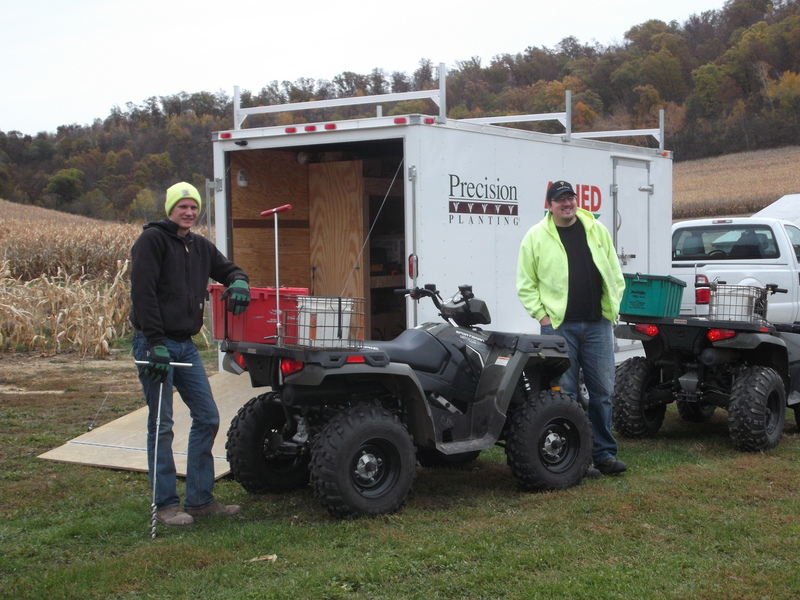 Allied Cooperative’s Cory & Andy preparing to soil sample in the Galesville area. With more of the 2013 crop harvested everyday, now is a great time to call us and schedule soil sampling for your fields. We want to stay caught up to the combines, so let us know what needs sampling before the crop is harvested, whenever possible. We offer both conventional and grid sampling to meet the diversity of needs that are out there. Please contact me at (608) 547-9865 , Andy Christensen at (608) 547-8305 or your local Allied Agronomy office to schedule soil sampling today. The information gathered will benefit you greatly when planning for the 2014 season.